In celebration of the 31st National Disability Prevention and Rehabilitation Week, Autism Society Philippines was invited to give an orientation on “How to Care for a Disabled”. 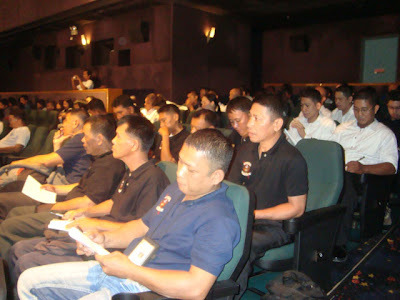 More than 170 frontliner service providers of Ayala Malls last July 24 at Glorietta Cinema 4. ASP National President, Dang Koe was one of the resource speakers of the orientation. Other speakers were Architect Jaime Silva of the United Architects of the Philippines, Mr. Antonio Pasia of Down Syndrome Association of the Philippines Inc. and Ms. Maureen Ava Mata of Makati PWD Federation Inc.
Each speaker was allotted twenty minutes. This meant a lot of new information for the service providers and this also created renewed opportunities for ASP to help dispel misconceptions about autism. 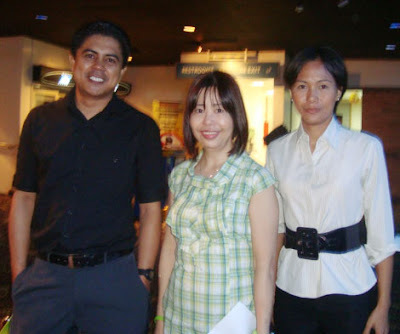 The Ayala Malls first extended this opportunity last July 22, 2008. This orientation is the second so far. 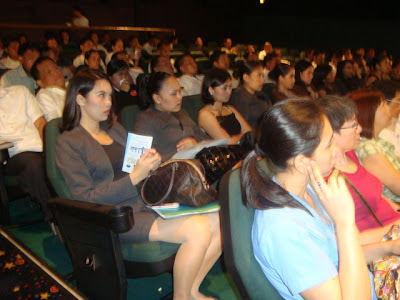 This orientation is a joint project of Makati Social Welfare Department with representatives Ms. Marjorie De Veyra- Department Head and Acting City Administrator and Ms. Laila Guce- Social Worker of Makati City ; Makati Tourism Foundation representative Ms.Jane Competante- Executive Assistant, United Architects of the Philippines and Mr. Joseph Salcedo- Customer Service Manager of Ayala Property Management Corporation. They say that a small stone thrown in the river can create ripples. ASP is looking forward future endeavors.